Your eyebrows frame your face. They make you look prettier & younger when groomed, shaped & arched properly. 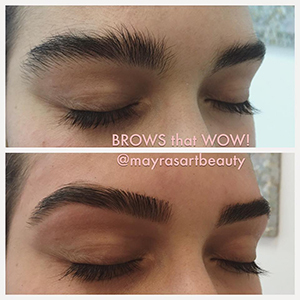 Trust our talented Team to deliver Brows that Wow! We chose a more natural approach that delivers longer & darker Lashes. 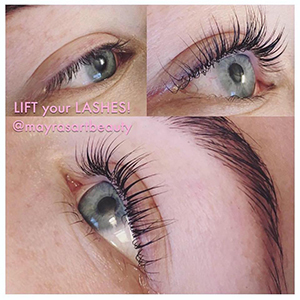 Try our popular Lash-lift & tint treatment for long-term mascara-like results with no maintenance. Let our artists enhance your natural beauty. 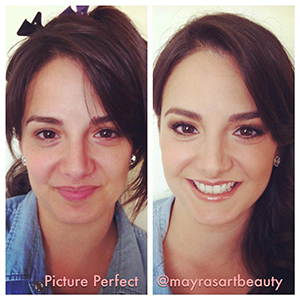 Choose from our 20 minute on-the-go makeup or our Picture Perfect look for that special occasion. The result is a more beautiful you! Let our estheticians customize the perfect treatment for your skin type. We promise clear, hydrated and glowing skin.